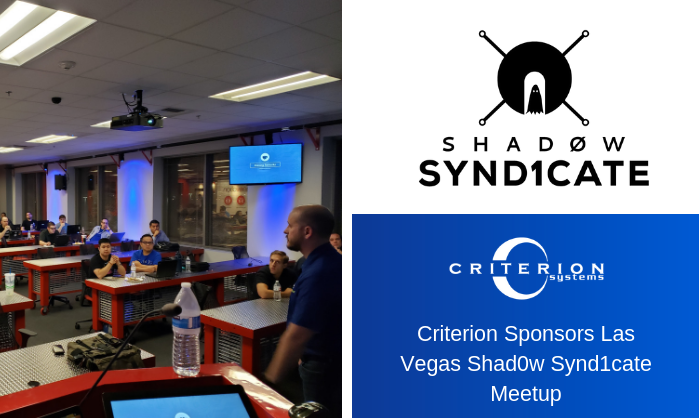 Criterion sponsored the December meetup of the Las Vegas cybersecurity group, Shad0w Synd1cate. This group, home of DEFCON Group 702, is a community of people who are passionate about all things Cybersecurity and IT-related in the Las Vegas region. We were happy to support this group in its goal of providing cyber talent with skills training, networking, and personal development, as well as increasing overall cybersecurity awareness.